The 34th annual World Series of Birding will be held on Saturday, May 6, 2017. The CMBO Monarchists team will return for our sixth year. Again we will compete in two categories, eligible for the Carbon Footprint Award (no motor vehicles) and for the Cape Island Cup (searching only on Cape Island, the area south of the Cape May Canal). We had been on a winning streak, earning the Carbon Footprint Award in 2013 and 2014 and the Cape Island Cup in 2012, but luck wasn’t with us in 2015, when we ended up finding just 111 species. We did much better in 2016, with 145, but competition was fierce and we didn’t win. 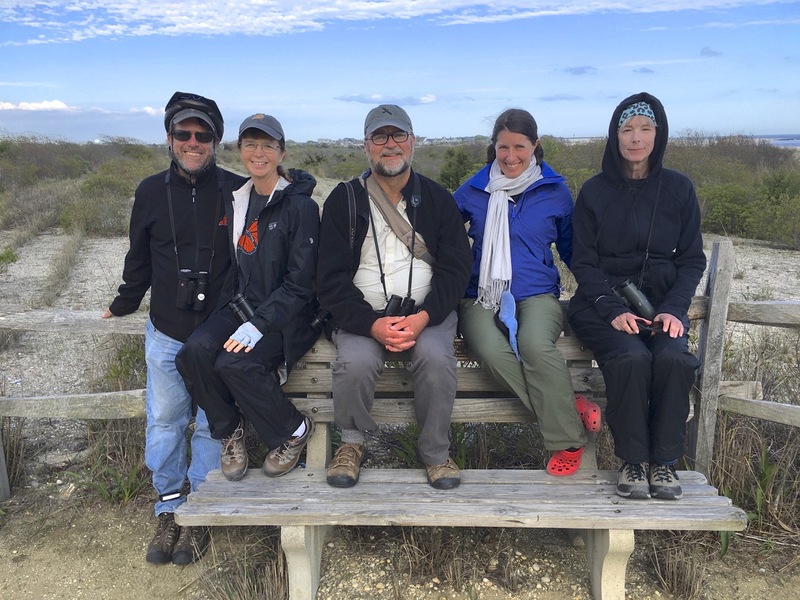 Most importantly, however, we raise funds for the Cape May Monarch Monitoring Project, a research and education project of the New Jersey Audubon’s Cape May Bird Observatory. The Monarchists team will be veterans from the last few years, with Louise Zemaitis (Captain), Meghan Walker Hedeen, and Michael O’Brien. Longtime team members Lu Ann Daniels and Mark Garland will each miss the event this year, but each will still help with the fundraising effort. We are fortunate to have many other helpers. The World Series of Birding is a friendly bird-finding competition that takes place each May in New Jersey. The Carbon Footprint category is in just its ninth year, and the award is given to the team that finds the most birds without using a motor vehicle. Our team will walk and ride bicycles around Cape May, hoping for a day when migrants are abundant. While it’s not part of the formal competition, we also count the number of butterfly species we find. Sponsors can choose to pledge for butterflies and/or birds. We are hoping to find more than 120 species of birds by sight or by sound around Cape May on May 6, plus 10 or more species of butterflies. Think we can do it? Check this site after the event for the results.